In response to the personal invitation of Mr. Paul C. Pissanos, some 80 of us gathered in his offices at No. 6 Saripolou Street. Mr. Pissanos imparted to us his original inspiration – now registered in the archives of the National Library under serial No. 0545 – for the building of an ANCIENT POLIS (CITY), with the fundamental purpose of constituting a recognized spiritual world center and a cradle of knowledge, for science and art. A center of congregation and exchange of thoughts of eminent scientists, enlightened intellectuals and artists from the further reaches of the world, where they would confer and collaborate for the furthering of the common cause and the fight for morals and logic nd applying their weight and prestige towards the removal of the accursed threat of nuclear war, destruction and the annihilation of the human species. A center of revival of modern technological culture according to the principles and philosophy of the classical ancient Greek spirit. The speaker then described the striking details of his visionary planning and of the purely ideological objectives which will be promoted by this imposing project: THE SPIRIT OF LOVE AND UNIVERSAL HUMAN COOPERATION, PROGRESS and PEACEFUL COEXISTENCE OF NATIONS. The vibrant rallying tone of the speech and the deep impression made upon us by the truly enlightened vision of this revival of the classical Greek spirit, made us decide on the formation of a spiritual and educational society with the purpose of contributing and striving towards the realization of this impressive plan. The association will apply, on an international level, for moral and material support to any non-fanatic, logical and untainted citizen of the world, to assist in the building of this fine – marble Olympic City. Our unanimous response overjoyed our host, and he gladly accepted to grant and entrust to the Association under formation, his plans and detailed program at NO PERSONAL BENEFIT other than the honorary retention for himself and his legal successors of the SPIRITUAL PATERNITY which naturally and understandably belongs to him and which can be contested by none. He added, moreover, that he would cooperate with all his strength to realize and fulfil this gigantic task of the future, by our association. The above constitutes the true testimonial of the basic needs which led us to found the nucleus of this intellectual association. 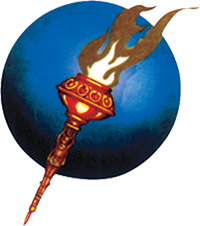 “OLYMPOS” – UNIVERSAL INTELLECTUAL CENTER. Paul Pissanos elected President of the OLYMPOS Universal Intellectual Center. The President of the Academy Solon Kydoniatis elected vice president. All members of the Managing Committee members are professors and academics of recognized prestige. 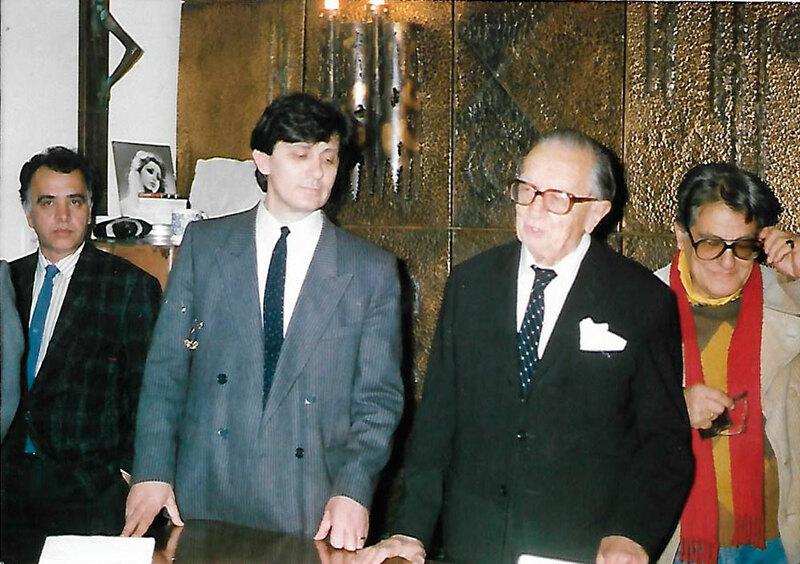 In the photo Paul Pissanos and Solon Kydoniatis in the day of Directors election.